EHF Marketing GmbH, the marketing arm of the European Handball Federation, has announced that it has secured a deal with Danish national television station, DR, to show the matches of the Danish teams in the new Men’s EHF Cup. The deal will cover the matches of the new force in Danish handball, KIF Kolding, as well as Team Tvis Holstebro. DR will follow the matches of the two teams from the third round onwards and as far as they progress in the competition, including the Final Tournament, which will be played over two days on 18/19 May 2013. The new agreement will see the station’s DR1 channel guarantee coverage of all home matches of the Danish teams. DR1 also plan to show the away matches of the two teams depending on match throw-off times and available timeslots. The third round of qualification will see KIF Kolding take on Russia’s Permskie Medvedi and Team Tvis Holstebro play Saint-Raphael Var Handball from France. The first leg of Round 3 will be played 24/25 November and the second leg one week later. The Group Phase with 16 teams will start after the World Championship in Spain on 9/10 February 2013. 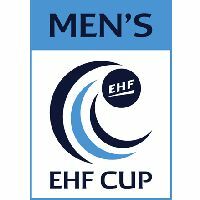 The Men's EHF Cup was re-launched at the beginning of the 2012/13 season, formed from the merging of the EHF Cup and the Cup Winners’ Cup. The new format of the competition is played with three qualification rounds, a group phase with four groups of four teams, quarter-finals and a Final Tournament with four teams playing semi-finals and finals over two days on18/19 May 2013. DR (Danish Broadcasting Corporation) is Denmark’s oldest and largest electronic media enterprise. The corporation was founded in 1925 as a public service organisation. DR is an independent, licence-fee financed public institution. DR also has the rights to show the matches of the VELUX EHF Champions League and the Women’s EHF Champions League.